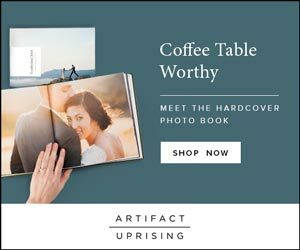 With baby showers on the horizon (no, no, not mine! 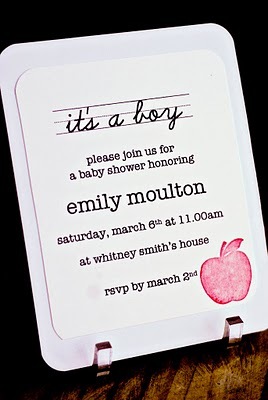 ), I've been trying to come up with creative and cost-effective ways to celebrate the birth of friend's new baby. 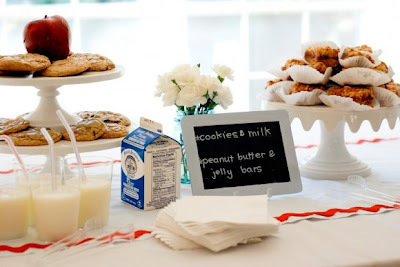 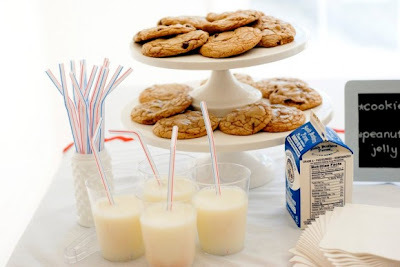 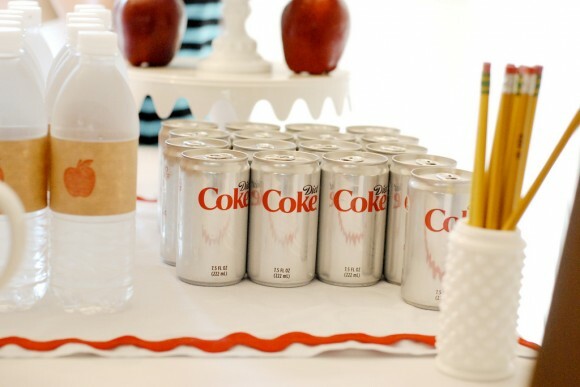 Whitney Smith of Whitney Smith Photography threw this adorable elementary school-themed shower for a friend (an elementary school teacher, of course), and I think it's absolutely inspired. 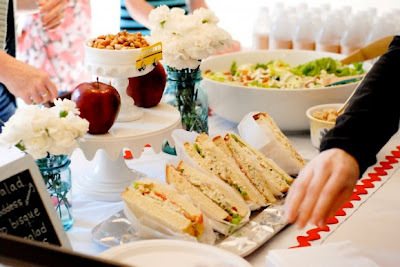 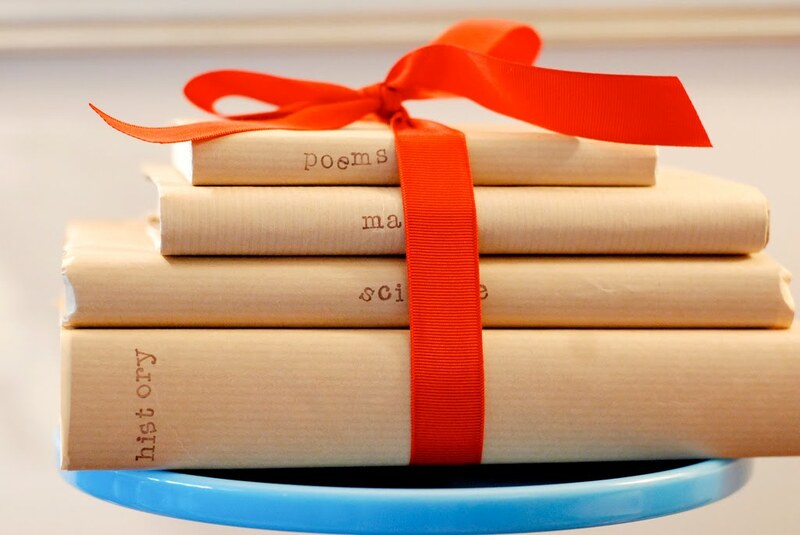 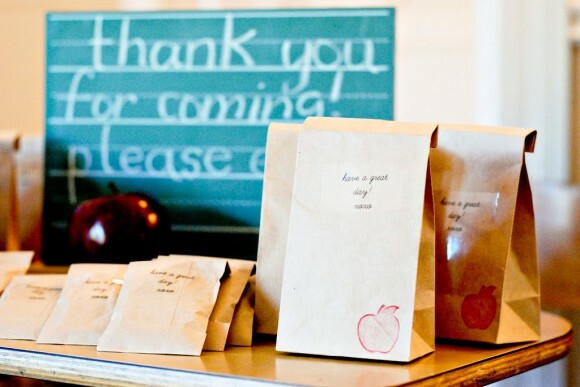 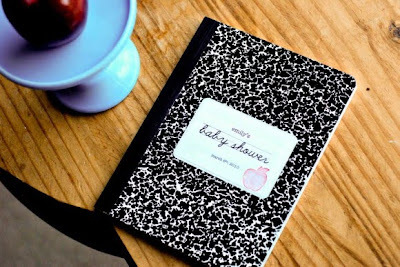 Chicken salad sandwiches wrapped in waxed paper and eaten off cafeteria trays, cookies and boxes of milk, and of course, all those adorable apple stamped favor bags-what's not to love?